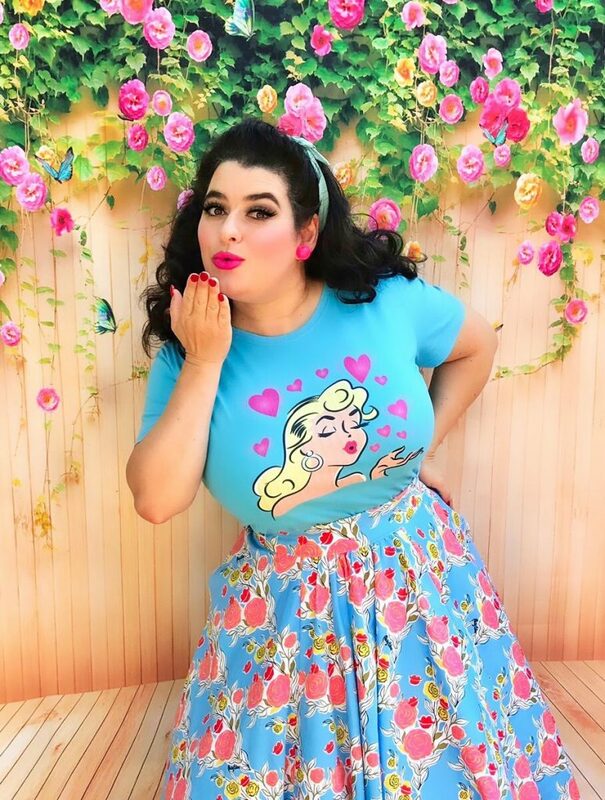 I am happy to share our latest addition to the Crazy4Me Style shop, our Blonde Bombshell Hearts and Kisses Pinup Girl T-Shirt from custom one-of-a-kind artwork. She exudes 1950s bombshell glam with her glorious blonde hair all done up in a vintage style and she is blowing kisses and hearts. She is perfection!! For this tee it was quite the challenge finding the right fabric and printing process. I really wanted an aqua blue tee to showoff the artwork as I could see it perfectly with the pink hearts and her blonde hair. Dye lots apparently can vary and just because you receive the correct colored tee once doesn’t mean you will again, so we worked with many manufactures to find the absolute best workmanship and also experienced sizing rounds to ensure the design was perfectly printed and with the right colored inks. We talked to so many companies!! We also wanted to work with a US based company as that is a really important thing for us. It was a very long process but, here she is, we are so proud of the finished product and hope you love her!! Sizes available in XS – 3XL. Our Blonde Bombshell tee has the perfect scoop neck and the sleeves are not tight on the upper arm portion like so many other tees. Ours are roomy with a nice shape. The t-shirt also accommodates a full bust with ease and that means the design won’t crack; this is especially important for us Dolls with large breasts. The tee is also a nice length that can easily tuck into wiggle skirts, swing skirts, and jeans, and, can be comfortably un-tucked over trousers and will maintain its shape. 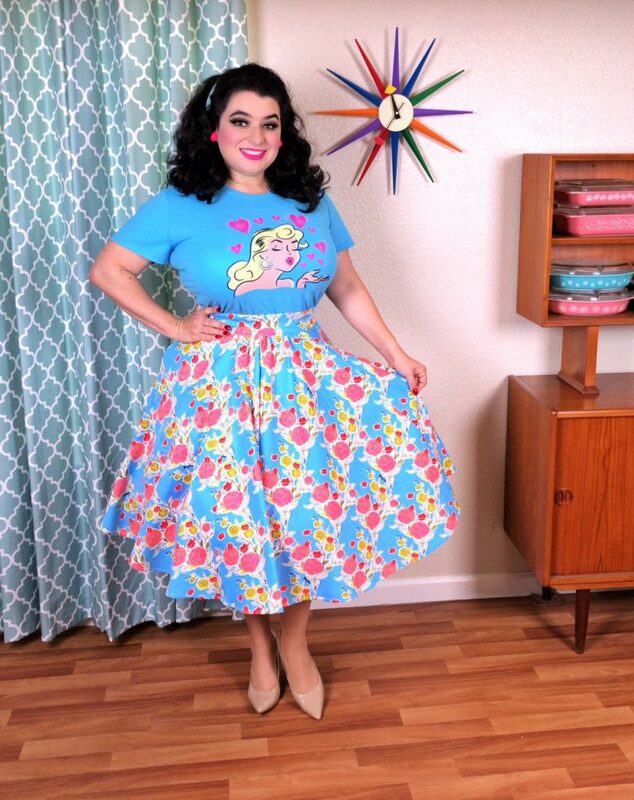 Our tee is perfect for the Pinup Girl, Rockabilly babe and modern day vintage loving gal! !